AntWoord specifically desires to serve the Afrikaans speaking community in South Africa and elsewhere, but not exclusively so. We are networking with a wide range of organisations and churches who share a common ideal . 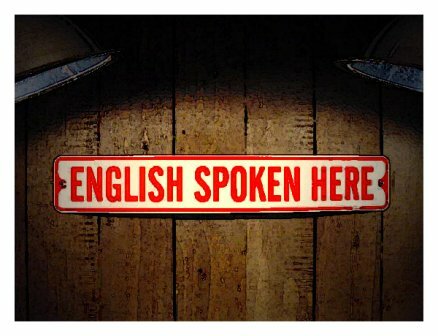 Therefore, if you are looking for assistance in English, please feel free to inquire with us. Find our articles written in English here. This Christian ministry started in 2004 with the purpose of explaining to people how a belief in God is most reasonable when we use our minds to reason, and that faith and reason are not opposed to each other. Many people think that you cannot believe in God and be a rational person at the same time. Many people also consider Christianity to be based upon mythical stories, that most of the Bible has nothing to do with real historical events. This ministry takes the questions and concerns people have seriously and tries to explore how one can make sense of them. It tries to explain why it is rational to believe in God and how to take responsibility for thinking about God. Many people think that their education has ruined any possibility for belief in God. But what most people often don’t realize is that most education systems are thoroughly secularised, which means that it starts with assumptions about the non-existence of God or that if some kind of God does exist, then at worst we cannot know anything about God or at best that it doesn’t really make a difference if God exists. But are these really good assumptions and is it even reasonable to hold them? These are the kinds of questions we like to talk about and explore. Of course there are many people who simply do not want to have anything to do with God, even if it can be shown (which we believe it can) that it is reasonable to believe that God exists. Some people seem to be incurable sceptics and it seems that nothing would ever persuade them. Finding God at least means acknowledging the possibility that he exists, but it is rather difficult to find something that you are convinced does not exist! But for those who are open to the possibility that the God of Christianity exists and who are interested in what the possibility of this God’s existence might mean for them, well, those are the kinds of people we are eager to be in conversation with. In today’s intellectual climate postmodern thought asserts that there are no ultimate answers. The Christian faith challenges this assertion and thoughtful Christians seek to engage people at the fundamental level of how and why they view the world as they do and discover the inadequacies of certain ideas. It is the task of Christian apologetics in particular to reestablish a confidence in the possibility of finding a greater understanding of the truth about life and the world we live in. Christian apologetics therefore aims at articulating the Christian worldview in an explicit and rational way. This endeavor is in contrast to the thinking of a great many people (including Christian believers) who do not feel any great need for reasoned explanations for what and why they believe as they do. At best many people have merely adopted the beliefs of certain authoritative figures in their lives (teachers, pastors, parents, etc.) and at worst they have indiscriminately absorbed the ideas of the culture at large. It is often religious people specifically who regard their inexorable obedience to authority and unquestioned acceptance of certain beliefs as a great virtue and even proof of genuine faith. The problem is that, though not necessarily the case, such a view of what faith is can lead to mere mechanical obedience and an unquestioned faith can be indistinguishable from superstition and false beliefs. The task of Christian apologetics is to show that the rationality of an informed faith is very different from the irrationality of a blind faith. Apologetics points to the fact that faith is based on what is reasonable to believe, and that, though faith is not the same as reason (since faith goes beyond what reason alone can settle), it does not set itself against reason. The task of Christian apologetics, however, is not to show that Christian beliefs can be proven true in any undeniable and coercive way. It merely aims at establishing the basis from where a person may reasonably hold belief in the Christian concept of God and have knowledge of such a God, with the same intellectual integrity required in any other area of knowledge and aspect of life. Please pray for the staff and activities of AntWoord. Ask questions, make comments and be critical about any of the articles on AntWoord’s webpage – we often learn from other people’s perspectives and insights. Invite AntWoord to your small group or church, or even just for a conversation over a cup of coffee, to address any subject concerning the truth claims of Christianity. Support AntWoord financially by making a donation. AntWoord is a non-profit entity who exists to serve the church (wherever she exists as the body of Christ) and as such we are fully dependent on the gracious contributions of individuals to be able to do specific acts of service.